Kit includes all the items listed that you will need for almost all emergencies, especially the common ones. These are all medicines that I feel every rancher or livestock owner should keep on hand, just like a fire extinguisher. If you never need it…you win, but if you need it, you need it. When the occasion arises for treatment on the farm, there’s no time to go shopping then. Days, hours, sometimes even minutes make the difference between success and failure. Just saving one good calf can make up for the cost. Recommended for all animals that are being shipped, handled, weaned, orphaned, or who may have been exposed to any stressful situation or risk of infectious disease. The ingredients include water-soluble organic carbons, water-soluble kelp, vitamin C, along with Zn and Cu. 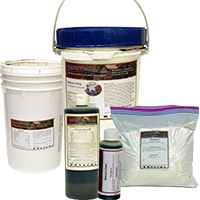 PDQ is safe for all livestock, horses or pets of any age or condition. This is a super-probiotic concentrate, and gut acidifier (the pH is only 2) which is used to get the digestive tract back into condition and to make it strong enough to repel the pathogens that cause scours, dysentery, coccidiosis, or other digestive upset. This helps repopulate the gut with non-pathogens. Can be mixed with milk, replacer, or any feed, or may be given orally via stomach tube or syringe. Repeat daily as needed based on symptoms. 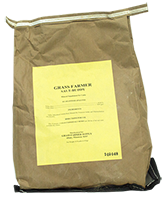 Can be used for baby birds, piglets, foals, lambs, puppies or kittens. This direct-fed microbial product was designed for herds and flocks suffering from or that have been exposed to exotic viruses or gut and lung destroying diseases. Contains one of the highest known levels of colony-forming-units of the lactic acid producing microbials. This is another excellent super-probiotic concentrate sold in bulk form for use when treating large numbers of calves or livestock. Also used to get the digestive tract back into condition and to make it strong enough to repel the pathogens that cause scours, dysentery, coccidiosis, or other digestive upset. Can be mixed with milk, replacer, or any feed, or may be given orally via stomach tube or syringe. The original totally-safe botanical and essential oil fly and external parasite remedy. This is the strongest all-natural and organic product made and has been documented in use across the world, as well as clinical trials at land grant universities. One gallon dilutes to up to 10 gallons of spray or field oiler repellent. Add this to normal loose salt to enhance the levels of sulfur and iodine to give extra protection against flies and other nasty parasites. Livestock love it plus its safe for all species of farm livestock. We feed this tasty, powerful and well-tested mixture, which consists primarily of niacin, thiamine, selenium, Vitamin E and natural udder probiotics to individual animals both in order to prevent or work against all forms of mastitis. This is a product designed for any herd of lactating animals when they are having problems. It is usually given to an entire herd suffering from high somatic cell count or showing signs of actual mastitis. It can also be top-dressed for individual “problem child” animals. 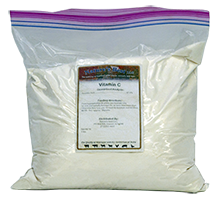 This form of vitamin C does not irritate the stomach lining like ascorbic acid but does even more work. We believe it to be a powerful immune tonic, tissue healer and overall enhancer of health for virtually any disease, injury or chronic condition. This is the strongest form of ascorbic acid made.